Few issues are as topical and controversial right now as immigration. From all the red faces on FOX News and the angry words running in newspapers, one wouldn't think the subject could ever be funny. So it's quite a feat for Richard Montoya and his Chicano-American political sketch group Culture Clash to have done just that. In American Night: The Ballad of Juan José, opening this weekend at Santa Rosa Junior College, Juan José is a young Mexican immigrant, pulling an all-nighter studying for his American citizenship exam when he slips into an Alice-in-Wonderland-style dream world and experiences bits and pieces of historical facts blended with true stories that will probably not be on the test in the morning. Who knew that so many of America's unsung heroes were Hispanic, black or Native American? 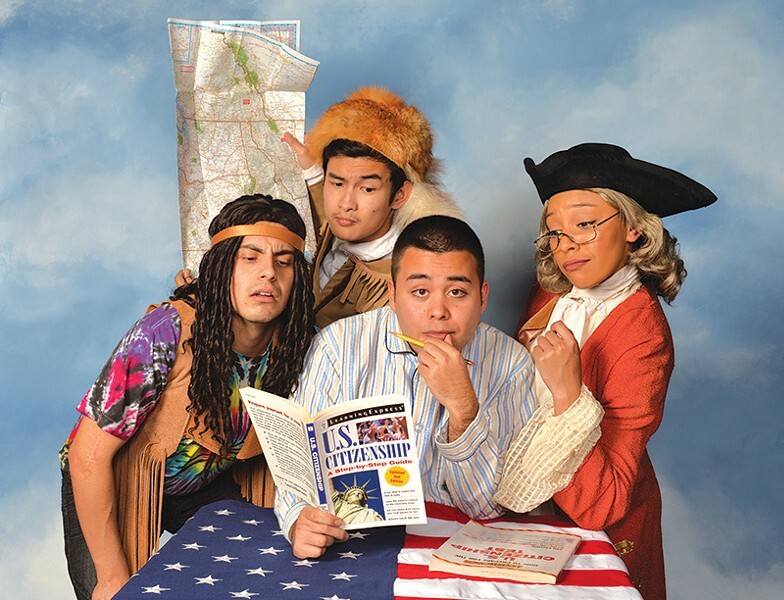 Directed by Reed Martin (of the Reduced Shakespeare Co.), American Night channels the spirits of Sacagawea, Jackie Robinson and Bob Dylan, along with a host of real but unknown figures, all of whom appear in irreverent, Pythonesque scenes that are both deadly serious and drop-dead hilarious. American Night runs Wednesday–Sunday, March 6–15 at Burbank Auditorium on the Santa Rosa Junior College campus. 1501 Mendocino Ave., Santa Rosa. Wednesday–Saturday at 8pm; 2pm matinees on Saturday March 7 and both Sundays. $12–$18. 707.527.4343.